It's a sign of success and real impact in the film industry when someone has their name used as a descriptor for a film. It's pretty commonplace for directors: we all understand when someone refers to a Kubrick film, or a Michael Bay movie or a Spike Lee joint. It's expected for actors too. We aren't surprised if someone wants to see the latest Mark Wahlberg movie or a Meryl Streep film. But how many special effect artists get that treatment? And I'm using the right word, artist, when it comes to the great Ray Harryhausen. People may not be able to always remember the actors or writers or directors of the films Harryhausen has been part of, but they always remember his contributions. Ray Harryhausen is the acknowledged master of the art of stop-motion animation, or as it came to be known throughout his filmography, Dynamation. 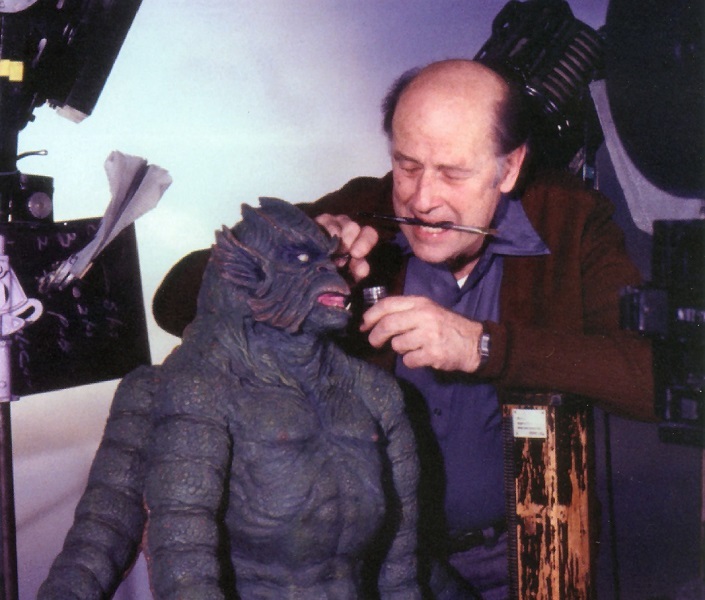 His reputation would even arguably eclipse that of his mentor, the great Willis O'Brien, creator of effects for the original King Kong, the film that would inspire Harryhausen's career pursuits. 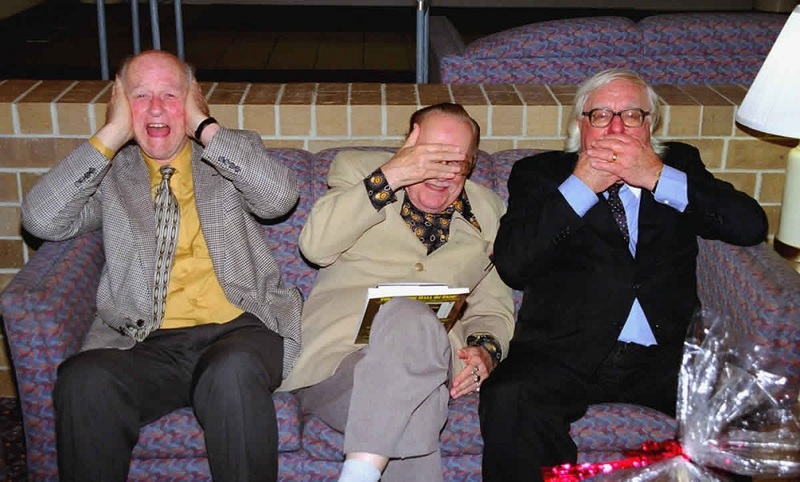 After meeting with and receiving advice from O'Brien, Harryhausen began forging lifelong connections with other legendary figures of science fiction, including sci-fi aficionado and memorabilia collector Forrest Ackerman and author Ray Bradbury, with whom he shared an affinity for dinosaurs and fantasy. His effects career began in earnest with his work on Puppetoons, a series of short animated fairy tales produced by George Pal. He would then help create animation for films produced by the U.S. Army during World War II, but his big professional break came when he assisted O'Brien in animating the simian title character for Mighty Joe Young, leading to an Academy Award win for special effects. 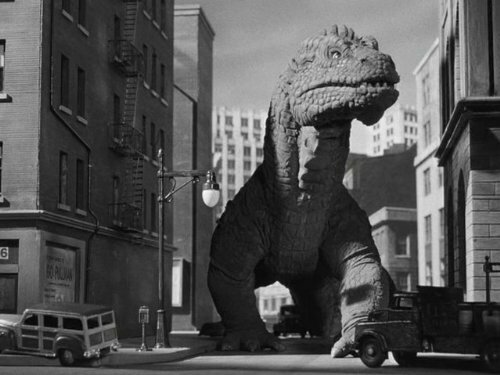 This lead to his first solo work creating the rampaging dinosaur for the Beast from 20,000 Fathoms, which was (after the fact) based on a story by his pal Bradbury and allowed Harryhausen to perfect his techniques for marrying animated elements with live-action through projection screens and matte work. After threatening the safety of the world by octopus (It Came From Beneath the Sea), U.F.O. (Earth vs. the Flying Saucers) and angry alien (20 Million Miles to Earth), Harryhausen became tired of mere destruction and partnered with producer Charles Schneer to create opportunities to show off his skills in a more imaginative context. Thus began a series of amazing fantasy movies that made mythology, literature and fairy tales exciting and epic to young audiences. Harryhausen and Schneer would craft three movies depicting the adventures of seafaring wanderer Sinbad the Sailor with The 7th Voyage of Sinbad, The Golden Voyage of Sinbad and Sinbad and the Eye of the Tiger, unleashing hordes of dragons, cyclopses, centaurs, griffins and saber-toothed cats on movie screens and into the dreams of viewers. The Three Worlds of Gulliver proved to be a great family-friendly adventure and another showcase for Harryhausen's photographic tricks, while science fiction classics benefitted from Harryhausen's ability to create fascinating characters in adaptations of Mysterious Island and First Men in the Moon. His love of dinosaurs found expression in the prehistoric melodrama One Million Years B.C. and the dinosaur western The Valley of Gwangi, a project originally planned by Willis O'Brien. 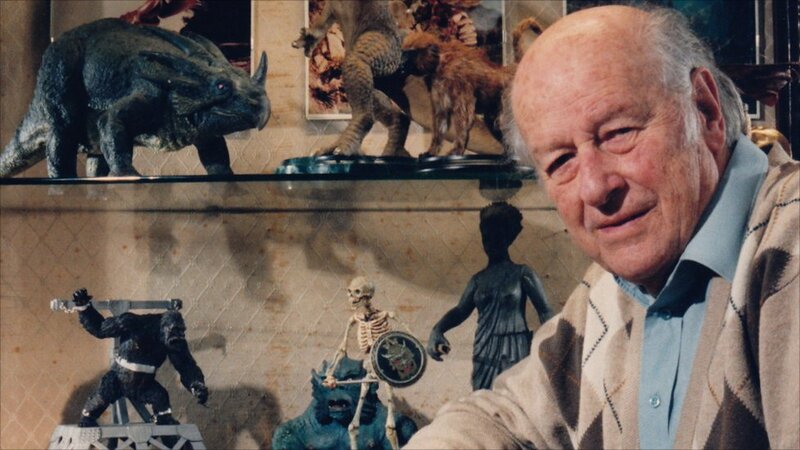 And most famously Harryhausen would create stunning sequences for two visualizations of Greek mythology, Jason and the Argonauts, featuring some of his most celebrated work, and his cinematic swansong, Clash of the Titans from 1981. Any fan of creature features or fantasy films is probably familiar with some of the amazing creatures and set-pieces of Harryhausen's career: Mighty Joe Young rescuing orphans from a deadly fire; a trio of Greek warriors dueling with a gang of angry skeletons in the climax of Jason and the Argonauts; Perseus and his men being stalked by the hideous Medusa in Clash of the Titans. These indelible images were also the result of intense planning and painstaking work by the veteran animator, moving each puppet frame-by-laborious-frame and often producing only seconds of footage after days of sweat and toil. And most of this he accomplished working on his own. But the results were worth the effort. To modern audiences raised on smoothly-rendered computer-generated images, the stop-motion techniques Harryhausen pioneered may seem primitive and jerky by comparison, but there's an element to his body of work often missing from the digital creations inhabiting modern films: soul. 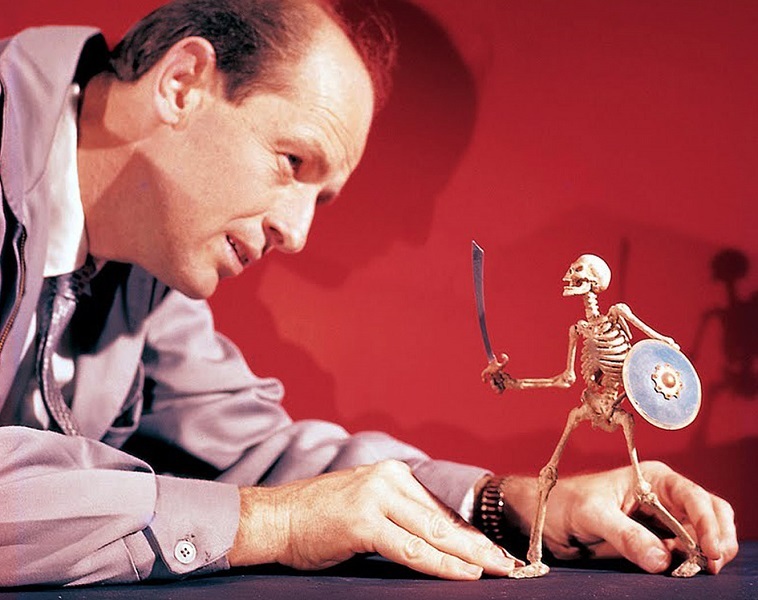 Harryhausen's creations weren't mere effects but complete performances, with personality and character transferred through his fingertips into the models. He could give pathos to a stoic mechanical automaton, tragic majesty to an angry allosaur, and even touching humanity to a wounded cyclops. His influence is felt throughout Hollywood and his films inspired filmmakers such as Peter Jackson, Sam Raimi, and John Landis, who would frequently cast Harryhausen in cameo roles for his movies. He also fired the imagination of a generation of fellow special effects artists, including make-up master Rick Baker and animator Phil Tippett, who would create the dinosaur animation for Jurassic Park. But beyond his amazing technical skills, Harryhausen was also renown for his kindness and graciousness toward his fans, always willing to chat about his work and offer anecdotes from the making of his films. He created an amazing world of gods and monsters that thrills audiences to this day and will help shape other fantastic voyages of the movies for years to come. 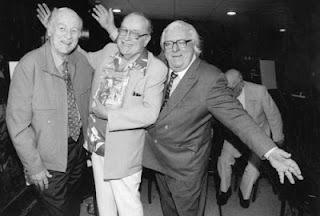 While it is a sad day for film fans, I like to think Mr. Harryhausen is somewhere in the great beyond still chatting about dinosaur behavior and flights of fantasy with his boyhood friends. 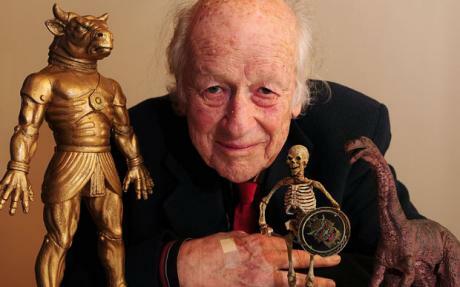 To Ray Harryhausen, thank you for turning the fantastic into a living, breathing, wondrous reality.